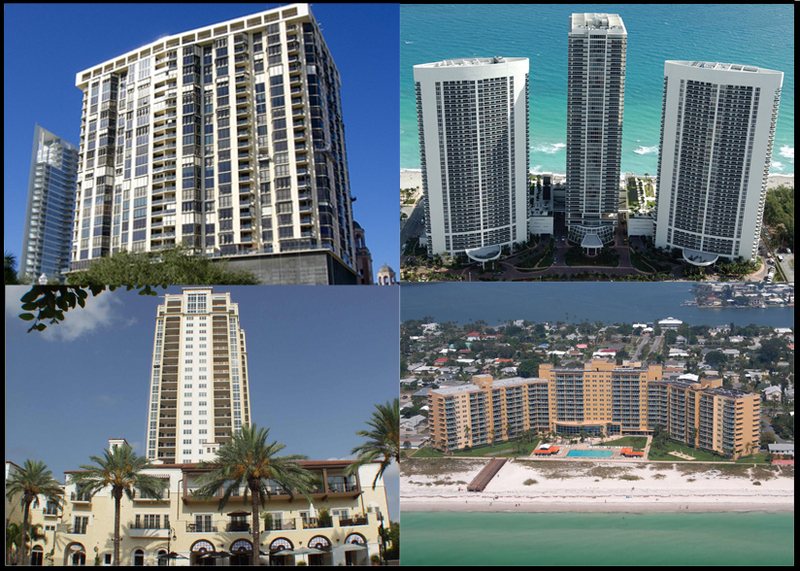 Buildings in Florida with cooling towers have the greatest water conservation potential. Florida cooling towers have to work very hard to keep their buildings cool because our climate is very hot, and our summers are very long. 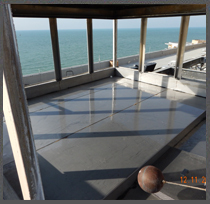 It’s true that the amount of water that a cooling tower evaporates cannot be reduced or conserved. This cooling tower water use is completely justified and cannot be reduced. 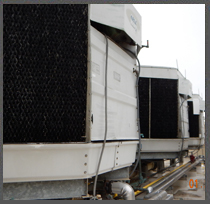 Evaporation, however, only accounts for on average only 66% of the cooling tower’s total water use. The other 33% of the water that the cooling tower uses is purposefully flushed down the drain, and replaced with fresh water. This water waste is required because as water evaporates, the water’s minerals are left behind in the cooling tower’s water. These dissolved minerals will continue to build up until they can no longer stay in in solution, and fall out of solution to form hard mineral deposits in the system called scale. The main purpose of a water treatment program is to increase the amount of dissolved minerals in the system water without forming scale. Standard water treatment programs use weak scale inhibitors that allow the minerals to concentrate up to 3x the level of minerals in the incoming water. Once this saturation limit is reached, a valve is opened, and system water is dumped down the drain. Simultaneously, fresh water is added to the system to replace the water that was dumped. To maintain 3x the level of minerals in the incoming water, one gallon of water must be dumped for every two that evaporate. The Terlyn Cooling Tower Water Conservation Program has a proprietary scale inhibitor with a molecular bonding strength that is over 30x higher than that of standard scale inhibitors. 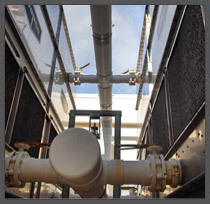 This high bonding strength allows a cooling tower’s system water to concentrate to 30x the level of minerals in the incoming water without scale formation. When a cooling tower’s system can be operated at 30x the level of minerals in the incoming water, it’s known as 30 “cycles of concentration”. When operating a cooling tower system at 30 cycles, only one gallon of water must be dumped for every 29 gallons of water that evaporate. This equates to only a 3% waste! 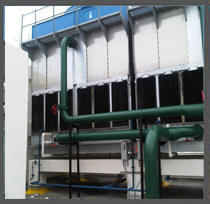 A system that is running at the standard 3 cycles that is upgraded to the Terlyn program running 30 cycles will effectively reduce the cooling tower’s waste water requirement down to just 3%! That’s a 90% reduction in the amount of waste water discharge required by the cooling tower with no adverse effects on the system.